Finding its origins in 1930s Uruguay, futsal might be seen as a relatively recent phenomenon by some but is actually a sport that has long been popular in South America. It has become something of a fad for fans of football lately, though, perhaps in no small part because of the invasion of Brazilian, Argentinian and Chilean players into the Premier League. Whilst the simplest way of explaining it to a British audience is to reference five-a-side, it’s much more fast-paced than that and is believed to have helped players such as Pelé, Zico and Coutinho develop their skills. Indeed, it is no coincidence that they are all Brazilian players, given that the South American country is considered to be one of the major hubs of futsal and the place where it is played almost as much as regular football. 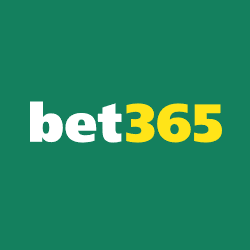 Bet365 may be a British bookie originally but now they are everywhere and cover everything. The ‘worlds favourite online betting company’ are the place to go to bet on Futsal, they have been offering markets long before any other betting sites and boast not just a large depth of market (pre-event and in-play) they also provide ante-post markets in advance of many other companies. In terms of prices you won’t get fairer either, where many bookies give poor margins on more obscure sports Bet365 always provide value. In order to discover the early days of futsal you need to travel back to the 1930s and Montevideo in Uruguay. An Argentinian coach by the name of Juan Carlos Ceriani wanted to create a smaller game football that could be taken to the country’s YMCAs and played by younger people there. At around the same sort of time, players in Brazil began to enjoy taking part in a similar game on the streets of Sao Paolo. In 1936 it had become so popular in the land of the samba that the first set of rules were published. Soon it began to move off the streets of Brazil and the YMCAs of Uruguay and into the other South American countries that its players had taken it to. In 1971 the Federação Internacional de FUtebol de SAlão was created in Brazil, becoming the sport’s first governing body. As well as Brazil, another five South American countries were involved in the organisation’s formation – Paraguay, Uruguay, Peru, Bolivia, Argentina – as well as Portugal. Despite receiving the backing of the Brazilian Sports Confederation, the sport didn’t immediately take off other than in the seven countries that helped to create FIFUSA. That began to change in 1980 with the Pan American Championship that took place in Mexico and welcomed sides from the host nation, Argentina, Uruguay, Brazil, Paraguay, Bolivia and the United States. Perhaps somewhat unsurprisingly given their close association with the sport from the get-go, the Brazilian team won. The success of the Pan American Championship spurred FIFUSA on to try to spread the sport even further, creating the World Championship in 1982. This time eleven different countries took part, with the teams from the Pan American Championship being joined by sides representing the likes of Czechoslovakia, Costa Rica, Italy, the Netherlands and Japan. The competition was considered to be such a success that it was held every three years from then on, with South American sides dominating it apart from in 1991 when Portugal won it. It didn’t take long for FIFA to start to become interested in the competition, taking over as the sport’s governing body in 1989 and making one major decision: that the name be shortened from Futebol de Sala to ‘Futsal’. As is their way, it didn’t take FIFA long before they started to interfere with the way that the game had been being played for several decades. The organisation wanted to make the sport more technical and to ensure that it would be as fun for spectators to watch as it was for players to take part in. As a result, they made the ball a little bit bigger and linesmen were replaced with a second referee, whilst unlimited substitutions were also introduced. That’s not to suggest that FIFA’s involvement had no positives, though. The governing body’s influence on football around the world meant that this new variation of the sport could be introduced to countless new countries, spreading resources and knowledge of the sport to some far-flung places. Indeed, UEFA was one of the first associations to realise the potential of the game and soon European teams began to dominate the sport in the years that followed. One of the key words in the original name of the sport is ‘sala’. In English the Spanish word ‘sala’ means ‘room’, which is a reminder of the fact that the game was originally created to be played in the small rooms of the YMCAs of Uruguay back in the 1930s. 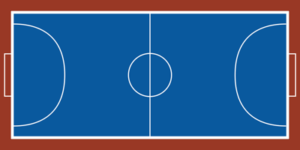 As a result of that, the ‘pitch’ tends to be around 40 metres by 20 metres, with the big difference to what you might think of as five-a-side football being that there’s no rebound wall and the ball can go out of play. As you can see, the game is a far more fast-paced and fascinating one to the more traditional version of five-a-side that you might have played as a youngster! It’s forty minutes in length, with two twenty minute periods separated by a break. The key thing to remember when it comes to timing, though, is that the clock is stopped whenever the ball goes out of play. The key thing that futsal has in common with any other variation on football as a sport is that your team wins by scoring more goals than the other side. 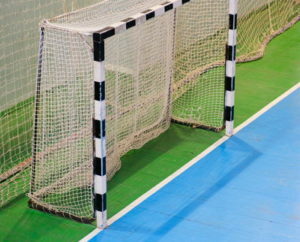 Goals are scored in much the same way as in traditional football, by getting the ball past the goalkeeper and into the back of the net in a legal manner. That doesn’t mean that there aren’t a whole host of tactics that can come into play, though. There are a number of things that successful futsal teams do to set themselves apart from those that are less successful. For starters, one of the keys to winning matches is to use the substitutes effectively. 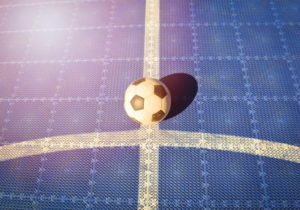 The game of futsal is designed to make use of these extra players, so the best teams do it brilliantly. Having players that know their roles stops any kind of disruption to the play when they come on, instead allowing the game to run smoothly. Rotating players in and out of play when they’re beginning to tire will also ensure that a team stays fit and firing for as long as possible. Another big tactic involves picking a formation and style of play that picks the players available to the team. It is all well and good having sides that play in a specific way, but if that way of playing is all defensive and the team in question is full of players excellent at going forward then the side is not going to play to its full potential. Speaking of attacking and defensive players, it is worth thinking in terms of American football when it comes to figuring out tactics, believe it or not. In American football the team in possession of the ball is known as the ‘offense’ and the team without the ball is the ‘defence’. This creates the mindset of the entire team working together to either defend or attack and teams that have players that aren’t willing to ‘pull their weight’ will not be as successful as those in which every player works hard at both ends of the pitch. Now that you understand the game a little bit better and where it came from, we can discuss the big betting markets that exist on it. As you’d expect, the biggest market is that of the match winner. Do you think the home side will pick up the victory or that the away team will cause a shock? Because of the fast and frenetic nature of the sport a much-loved alternative to that bet is the ‘Draw No Bet’ market, in which you select a winning side and if the game ends in a draw then your bet is made void. You can bet on the handicap market, in which you’ll select a side that you think is going to win and then choose an amount of goals that they have as a ‘handicap’. For example, you might select the home side -0.5, which means that they’ll have to win by more than half a goal for your bet to come home. Speaking of goals, you can place bets on the number of goals that will be scored during the match, either by the individual sides involved or in total. The Over/Under market is ideal for this. 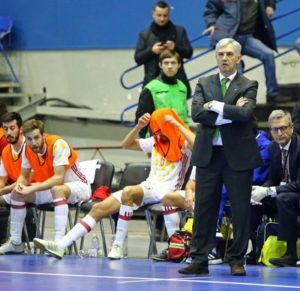 Do be aware if you’re a first-time bettor, though, that futsal matches can often be high-scoring affairs. Finally, there are a number of more random bets that you can place on futsal matches, such as the first team to score, how many cards will be shown and the number of goals scored by an individual player rather than a team. Whilst futsal is becoming a more popular market to bet on in the UK, it has still not reached the heights that you will experience if you were to travel to one of the countries of its origin or even some parts of Europe. That means that not all bookmakers will offer a heap of markets on matches, with many restricting themselves to simply the match winner and handicap markets. The tendency is to look towards the South American teams as being the best ones to bet on because they have so dominant in the sport for so long. Do be aware that more and more countries are getting better and better, though, so that kind of ‘lazy’ bet won’t always come off. Instead have a little look at the history of the two teams going head-to-head and see if there’s more value betting ‘against the grain’. 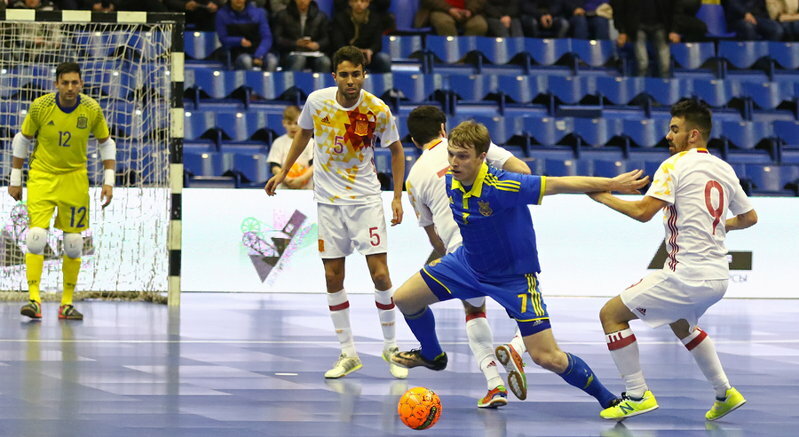 Obviously the biggest tournament in the world of futsal is the FIFA World Championship mentioned before, but don’t limit yourself to just that in terms of the competitions that you might want to place a bet on. 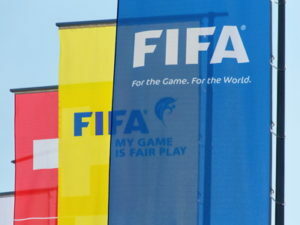 There are then a whole host of other tournaments that are the responsibility of the various global federations, such as the CONCACAF Futsal Championship, the Copa América – FIFA Futsal (CONMEBOL) and the UEFA Futsal Championship, to say nothing of various national championships organised by individual countries. In short, if you want to watch a professional futsal competition where you live then there’s a very good chance that you’ll be able to do so, with the best bet for finding them heading to your personal Football Association. Despite having been around for nearly ninety years, futsal still hasn’t quite caught the public’s imagination in the same way as traditional football has. That is in spite of the fact that it is a far more fast-paced and energetic sport, with goals scored at a much more regular rate. As an example, the above table at the stats from the FIFA Futsal World Cups since 1989. It is the last column that will likely give FIFA food for thought. What was it about the outliers, where the average attendance was in excess of 5,000, that made them so popular? Was it the countries that the events were held in of Guatemala and Brazil respectively? If so, what can be taken from the popularity of the sport in those countries to help spread the word in the likes of Chinese Taipei and Hong Kong where they were at their lowest? 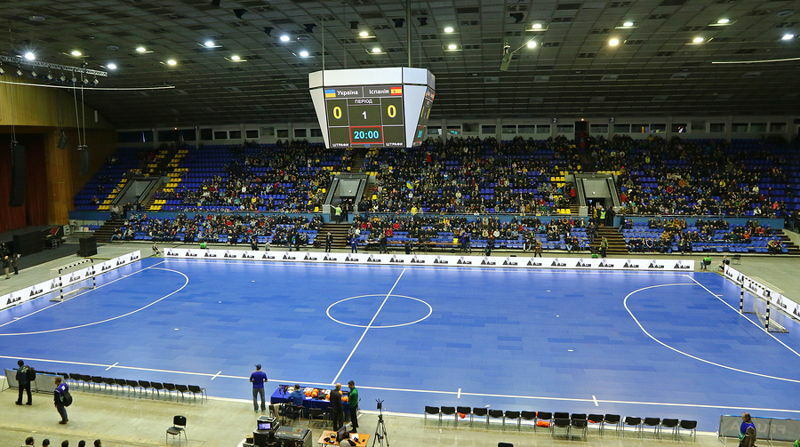 The future of futsal is likely to be a bright one, but the authorities still have their work cut out to make it as popular as even the most low-level traditional football matches.